Youshop increased prices and decreased service! Forums › Off topic › Youshop increased prices and decreased service! I thought YouShop were meant to repackage anything in an oversized box to make shipping cheaper? It does say in their FAQ, that they 'may' do this. But in many cases how would they be able to determine whether the box is 'oversized'? While a low weight relative to the size of box may indicate wasted space, there's no assurance that's the case (item could be large but light). I think, as buyers, we'd probably have the best idea as are likely to have access to information on the dimensions of the items and even potentially the original box. Are you opting for their cheaper option? Usually says it will be slower (and does not accumulate airpoints dollars). I'm just wondering if amazon packed this into a large box. How can weight be volumetric? It's a measurement of mass. That's what the word means. My OED defines it as "the quality of being heavy". Some of the smaller reshipping agents like MyUSA (not the same as MyUS) closed down a while ago. Not sure how much competition they have these days. Well technically its not a weight, but its a method of converting the volume to a mass, so you can compare them like for like. It would be uneconomical for a transport company to carry large volume low weight boxes if they simply charged by actual weight. This method allows them to compensate for it. Well, what we call a guinea pig is not a pig and has nothing to do with Guinea, yet it's well understood what it is. Similarly, what volumetric weight is, is also well understood, see wikipedia link above. On the topic of Youshop quality, yes, their delivery time deteriorated as of late, it's longer than they promise for the price. I'd also like to try an alternative next time I need to use it. Youshop pricing is described here: https://www.nzpost.co.nz/tools/youshop/youshop-pricing I did a few spot checks with previous deliveries and I did not find any discrepancy between that and what I actually was charged. Youshop is really quite good value if you're not in a hurry. 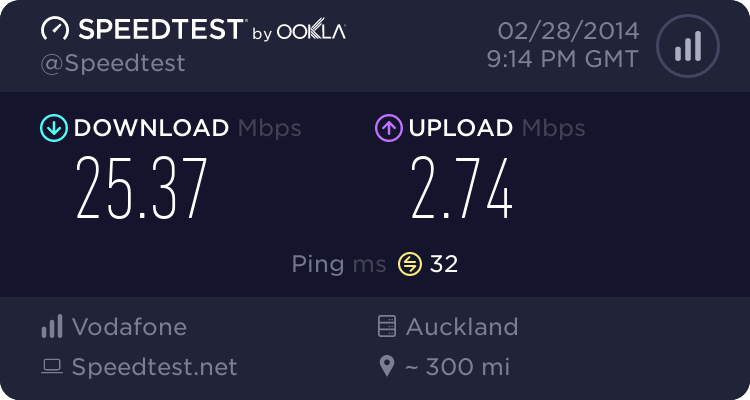 The other services are significantly more expensive because they use third party carriers, but the level of service is often better and the speed can be better if you pay a bunch more. That's normal for the economy option. So much for their 'Quick Option being quick.. I paid on the 5th, didn't leave the US until the 12th and still doesn't say it's landed in NZ! Definitely will be going cheap option again next time I think. So it's now been a week since my YouShop parcel was delivered to the incorrect address (as discussed in an earlier post), and it's still stuck at that address. I emailed them again this morning and got a fairly prompt reply - asking for the address it needs to be sent to. Given I've provided this on at least two earlier occasions I declined to provide it and suggested they read the file and get someone to call me to discuss. And they've been good on pouring cold water on the idea of a refund (partial or full) for my troubles as the parcel has only been delayed not lost. This is certainly my worst experience of dealing with an NZ-based contact centre, and is a poor reflection on the quality of customer service at NZ Post. The rare times I've had to contact youshop customer support I found them really slow and relativity unhelpful. They did eventually locate the package at the warehouse, but it took some time. I have used youshop in the past, usually things went smoothly and the price was around $30nzd for shipping small packages to NZ. This time though, price is now $43 to ship (I'm guessing the package is small but maybe amazon put in a big box?). Also, the service is not so good as the previous times I used them . My goods have been sitting in limbo at the US warehouse since monday, stuck at 'ready to dispatch'. I will reconsider using youshop in future. There are ways around bypassing youshop. It depends though, but, I will account for the increase in youshop prices when figuring out the best option. I recently purchased an item in the U.K.which was delivered overnight to the Middlesex collection centre, time recorded at 12.35 p.m. the following day. I then waited and waited, for 5 days before contacting the help desk. Helleulah within 6 hours a reply from the U.K. That my parcel had just been delivered, when a more believable explanation would have been that it had been kicking around around in their centre for 5 days. Not a good first time experience.